The Super Awesome is the alias and creative presence of Andreas Fernhede Dagman. I am 30 years old and currently focused on digital design. Since starting studies at Hyper Island and the Digital Media Program in 2007 I have been involved and active in the industry and working at a few major actors. With a broad base with o different skills I love to find solutions to necessary and un-necessary problems, mostly in the digital world. The knowledge and competence of development as an addition to my professional experience of digital design creates a great understanding for the web, mobile and other digital areas. I'd love to hear from you, no matter what the subject is. Contact me for more information about anything. Pico is a miniature music player designed to be a part of your desktop. It is packaged as a desktop app with the possibility of always staying on top. Underneath the hood and when authenticated the player is connected to your own SoundCloud feed. Either your normal stream or your likes feed. Pico´s interface is based on a simple 3D concept, where the different sections are positioned on different faces and the buttons revolve to change state. Charz. A play on the word "charachters." This is a self initiated project that came out of the fun of playing around with the alternative characters offered around the globe. 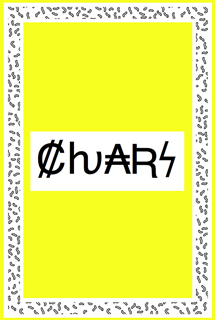 Charz is a simple tool and offers control to the composition of special characters. 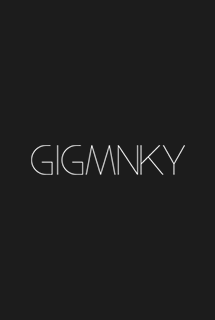 Gig Mnky is a self-initiated project that aims to be your main assistant in the search for concerts and shows. It was born from the idea of having an automated gig calendar with all the music you like and listen to. The application is gathering all the music and artists you enjoy on SoundCloud and Spotify, and will then match this with Last.fm's calendar to populate a perfect calendar just for your taste. Fastnav Stockholm is a social group in Stockholm with passion and focus on cycling and fixed gear bikes. Throughout the season of 2012/13 I took care of working on some material, such as spoke cards and jerseys, to form a basic identity around the group.